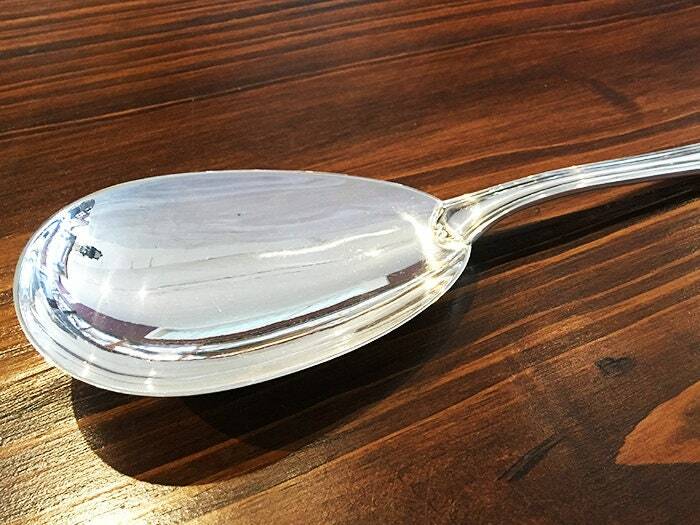 This sterling silver rice spoon was designed by Buccellati in the 1970's as a part of their Borgia pattern. 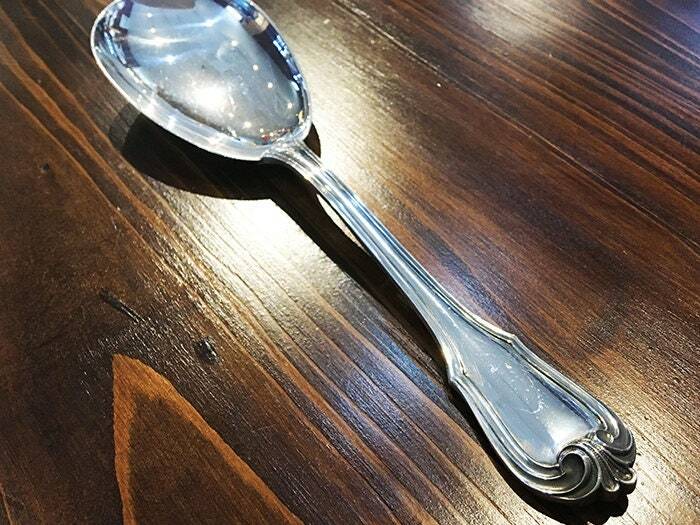 Its classic and ornate design makes this piece a lovely addition to any flatware collection. 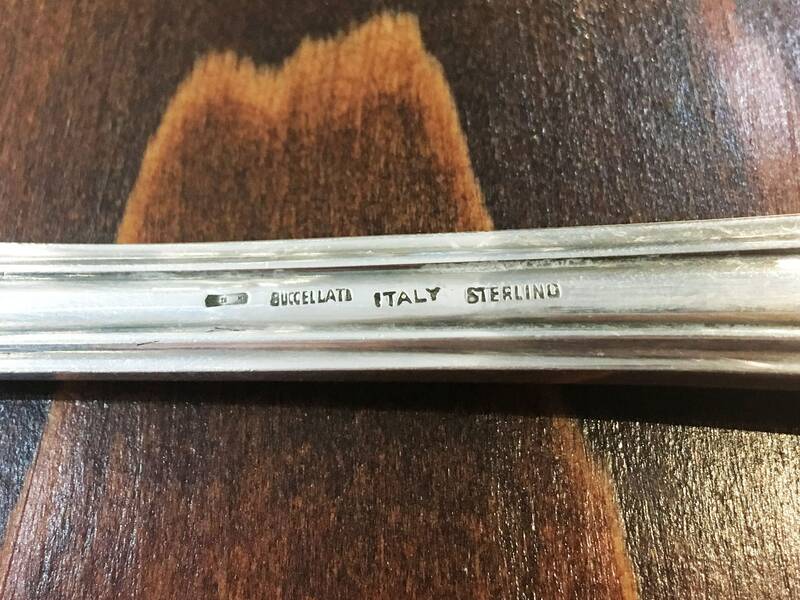 Known for creating the finest jewelry and flatware, the Buccellati family has been in business sine 1919. 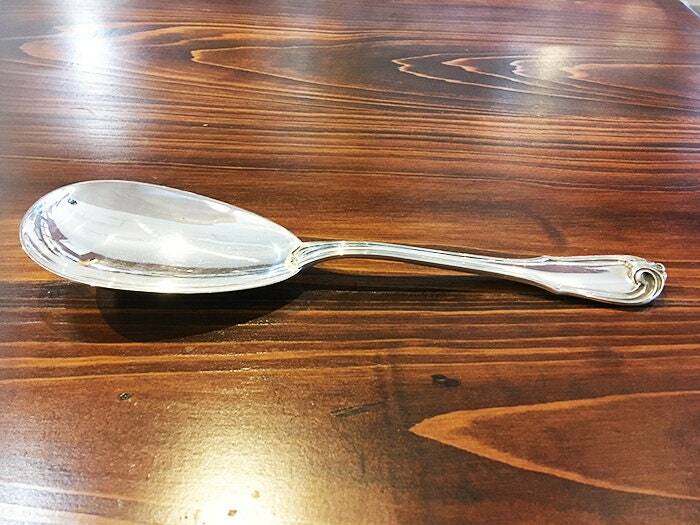 This pristine vintage piece is a testament to their timeless craftsmanship.